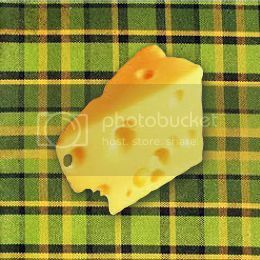 Racine Wisconsin, the home of Malted Milk, is a small town south of Milwaukee. We go up there a couple times a year with Wilson, to spend time at North Beach. The beach runs along the shores of lake Michigan. I like going up to Racine, because it's far enough away that it gives me a good excuse to drive the VW Campmobile, and I get to spend some time at the beach. The afternoon is spent sitting on the beach in our folding camp chairs, just listening to the waves roll in. This is typically followed by a walk along the shore. I don't like crowds so a day at the beach usually starts early, on cold weekend days or during the week. I enjoy the peaceful sound of the waves, not necessarily the noise of other people yelling and screaming. 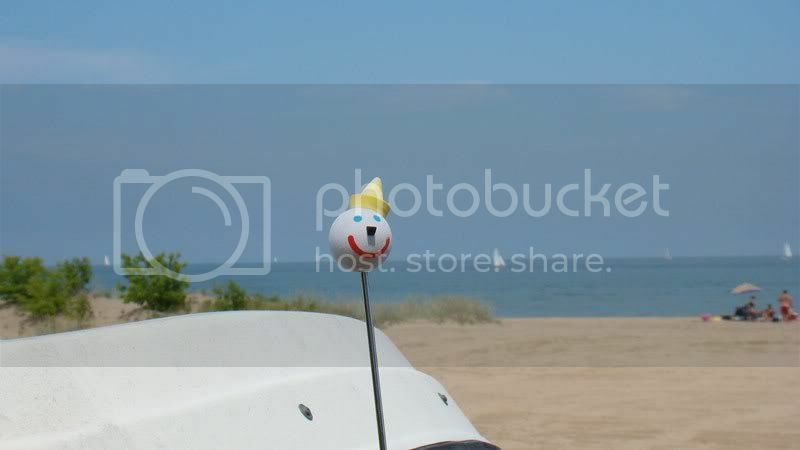 Needless to say, you probably won't find Wilson at the beach over the fourth of July weekend. 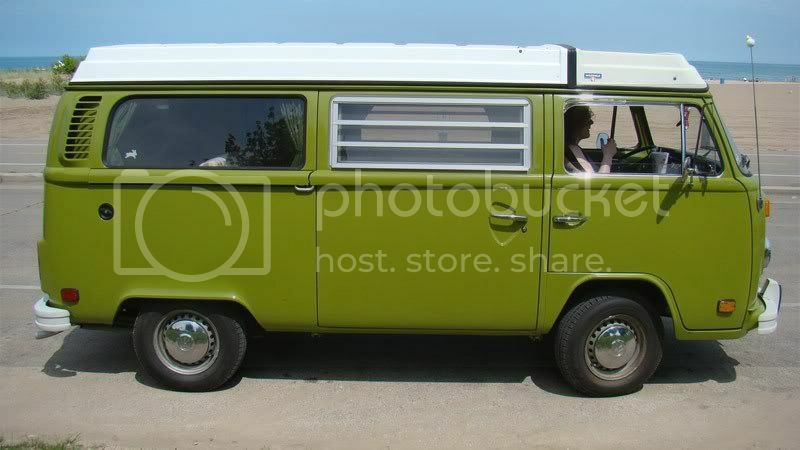 On those other days, feel free to stop by to say "hi" if you see this big green Westfalia parked nearby. I do like meeting people and talking about the VW experience.